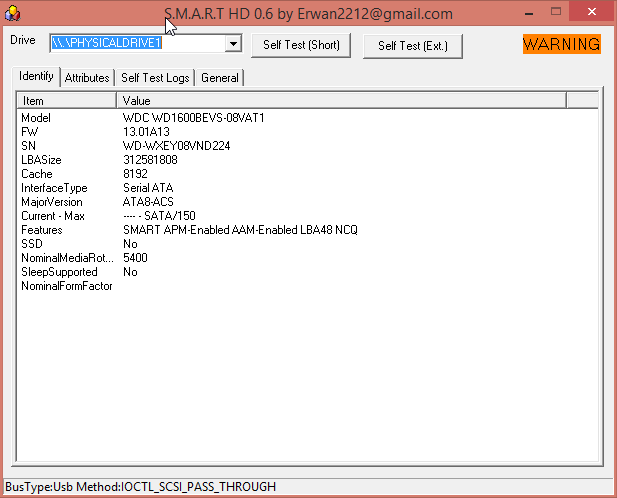 SmartHD supports PATA, SATA and USB drives (e-sata not tested). It does not support at this stage CSMI (raid) or NVME (pci-e) drives. 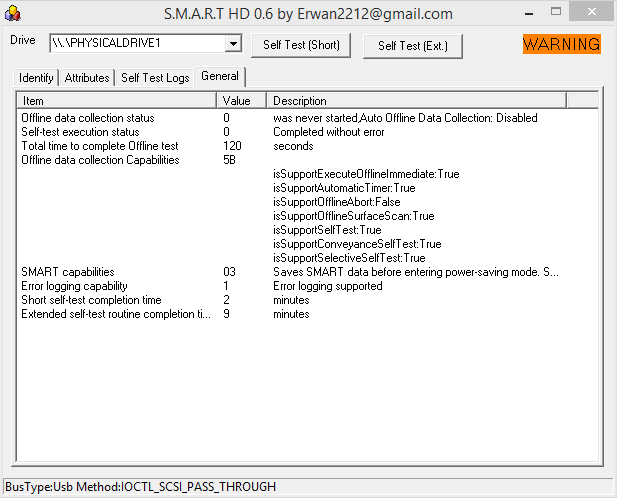 SmartHD will provide the folloding S.M.A.R.T details : identify, attributes & thresholds, self test logs. It will also one to perform a self test : short or extended. It will also give you the condition of the drive : OK, Warning or Critical. It is native (i.e no dependency, runtime, etc) and is portable. SmartHD can be minimized to the tray icon where the temperature and condition will be displayed. SmartHD will refresh the details for the selected drive every 10 mns. SmartHD can also export datas to a HTML file (right click in the main window). Feedback, bug reports, feature requests welcome.